Psychiatric/mental health nursing is that specialty in which nurses work with individuals, families, groups or communities who have been diagnosed with any of a wide range of psychiatric problems and disorders. Such mental illnesses include but are not limited to depression, bipolar disorder, anxiety disorders (like phobias), eating disorders, psychosis, schizophrenia, addiction and substance abuse as well as Alzheimer’s and other dementias. Psychiatric/mental health nurses (PMHNs) use their skills to assist patients with mastering mental illness as well as the stigma that often surrounds it allowing the patient to lead a full and productive life. This field of nursing has existed since the end of the 1800s when nurses began working in mental hospitals. Since then the roles of psychiatric/mental health nurses have expanded. Content dealing with psychiatric/mental health has been integrated into all diploma, Associate’s, and Bachelor’s level nursing curriculum. Psychiatric nurses can provide care at the generalist level as a registered nurse or at the advanced level as an advanced practice registered nurse (APRN). A PMHN generalist assesses the needs of their mental health patient, develops a nursing diagnosis, develops a plan of care, implements the nursing process, and evaluates the results for effectiveness. They also provide patients with supportive counseling, teach them coping skills, and help them tackle daily tasks like dressing, grooming, administering medications, etc. Those who choose to pursue a career in advanced practice nursing while specializing in psychiatric/mental health can become a psychiatric/mental health clinical nurse specialist or psychiatric/mental health nurse practitioner. Many such PMH-APRNs go on to further specialize in a particular population of patients such as pediatric patients, adolescent patients, adult and/or gerontological patients, patients with eating disorders, and patients with substance abuse issues. Forensics is also a specialty within the field. As advanced practice nurses, their role in patient care includes all of the duties performed by PMHN generalists but expands even more. For example, they can prescribe medicine in many states. 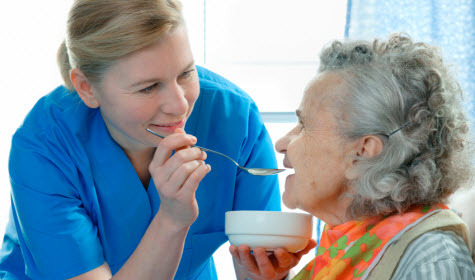 They can often practice independently offering direct care in agencies, communities, hospitals, homes, and private offices. Psychiatric nurses work in a wide variety of settings including inpatient and outpatient facilities. Generally, they can be found anywhere the mentally ill might go to seek counseling, assistance, or treatment. In addition to working in mental hospitals and psychiatric departments at general hospitals, they are often employed through community-based programs, home health care agencies, government (local, state, and nation) mental health agencies, correctional facilities, HMOs, and private practices. PMHNs are required to be registered nurses. This means that they must have at a minimum completed a diploma, Associate’s, or Bachelor’s program in nursing (or if they already hold a non-nursing Bachelor’s degree, a direct entry Master’s program in nursing) as well as having passed the NCLEX RN licensing examination. Once they have gained experience as a psychiatric RN, they can pursue certification as a PMHN. The American Nurses Credentialing Center (ANCC) offers a psychiatric mental health nursing board certification examination to demonstrate the competency of registered nurses in entry-level clinical knowledge and skill sets in psychiatric mental health nursing. Those who pass are awarded the Registered Nurse-Board Certified (RN-BC) credential. Those looking to become an advanced practice nurse with a specialization in psychiatric/mental health (clinical nurse specialist or nurse practitioner) will be required to have a graduate degree in nursing (Master of Science in Nursing or Doctor of Nursing Practice). More and more states are requiring the latter for those interested in advanced practice nursing.